My dad was a bit of a constant traveller. He worked abroad for many years but my mum stayed in Edinburgh with us kids! He has many tales to tell, and he’s now 87, and still manages a holiday abroad and a bit of golf. One day I hope to feature him on my blog or perhaps devote a whole blog to him. He is a bit of a character! I’d love to read some of your father’s stories! Was your mum not upset about such turn of events? Most women would mind being left on their own for too long. She seemed to be okay with it… a very understanding lady. ex girlfriend was a traveler and had a home to go to. Did both traveled for long periods of time but by the time I came into her life she had settled in her home , then when we met she started talking about traveling again …alittle unsettling for me though to keep hearing her moaning that she didn’t travel like she wanted to because of…me. Some people just keep changing the countries. 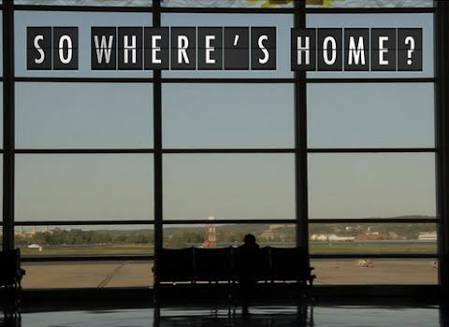 And after a few years of changing countries there comes a moment when you’ve been away for too long and the country where you were born isn’t your home anymore and home is nowhere. But I think from what you’re saying that your ex girlfriend was displaying such tendencies as described. It’s easy to find the traveler types attractive. Similar to what I said about holiday romances – these people are unburdened, care-free and generally able to pull of this facade of ‘happiness’ because they don’t have the same responsibilities that those who stay in the same place too. They are not the worst dating prospect but you need to be careful not to let things escalate to more that ‘casual’ dating. I guess there is also a type of person who always goes for the traveller. While there are many people that are happy to date their childhood sweetheart, boy next door, family friend, etc etc. There are others who want more excitement than dating a person who is just like them. I think there’s a difference between dating a traveller, a constant traveller and a person who has travelled. A traveller is usually just in this stage of his life and whether he likes you or not he will leave because traveling is now on his agenda and he really just wants to take it easy. Dating someone who has travelled is an enriching experience and many people are just attracted to those open minded. A constant traveller is someone who look like he has traveled but isn’t really. He pretends (of maybe partially believes) he wants commitment but the moment excitement of the new disappears and commitment is on the horizon they flee.